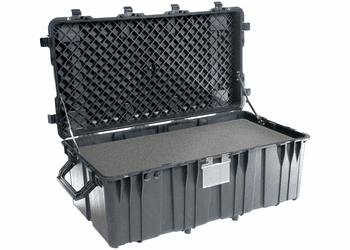 With over 11 cubic feet of space, you can store, protect, and move large loads in seconds. The reinforced honeycomb deck and lid construction provide support for heavy equipment, or multiple stacking on a 463L pallet. Opening the case at any altitude is not a problem- the dual integrated automatic pressure equalization valves keep moisture out and prevent vacuum lock, and the double wide grip makes lifting easy. 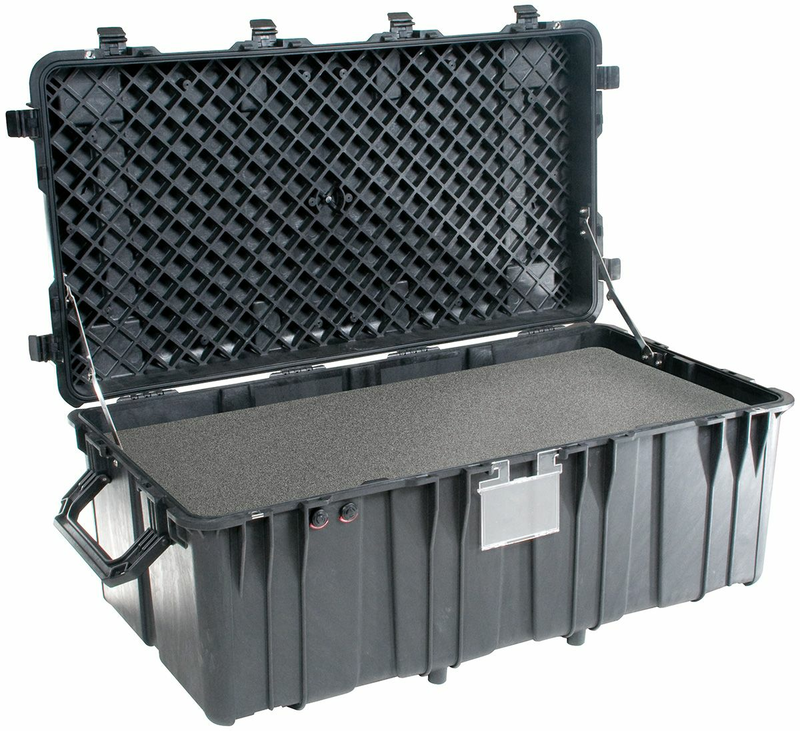 With an IP55 certification, the 0550 Transport Case will protect your gear against rain and dirt. The 0550 Transport Case: Built to move-by forklift, by wheel, by hand. Lid Layer 1 3.20"" Convolute, Base Layer 1 .05"" Pad, Base Layer 2 3.50"" Diced, Base Layer 3 3.50"" Diced, Base Layer 4 3.50"" Diced, Base Layer 5 3.50"" Diced. Weight: 79.2 LBS. (35.92 KG) "